All interior design projects begin with a good plan. You put a lot of time and thought into choosing your design and picking out the right furniture for your home or business. This kind of commitment will help you achieve your design goals but you don’t want to stop there. When you apply this same type of dedication to decorating with accessories, everything will fall into place and look like it was made to go together. Accessories complete your interior design and when you choose carefully, you’ll create a comfortable and inviting interior. This is why it’s so important for you to take your time and find the best pieces for the space, no matter what type of structure you’re decorating. Accessories can make a huge impact on your interior. Something as simple as a throw pillow can create a visual effect that changes the way the whole room looks. However, you have to be careful what you choose to make sure you’re sending the right message. When decorating, consider the shape of the room and the design style so you can choose accessories that complement and enhance the structure and furnishings in the room. You also want to look for items that you truly like. Use large items or group several small items together to create a focal point for the room but always start with the largest piece first. This way you can add in the smaller items one at a time until you reach the desired look. Instead of trying to match items that are the same height together, put objects that are different heights, colors and textures together to create more visual interest. Similar colors will create a soothing effect while contrasting colors will create excitement, so consider what kind of mood you’re trying to create when choosing your accessories. Make sure your accessories are the right size for the room. If you have a lot of small collectible items, place them in a large display case to make them stand out better. Change your accessories to match the season to keep things interesting. Our interior decorators here at J. 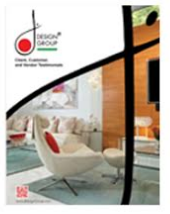 Design Group have the experience and knowledge to help you accessorize your home or business in a way that enhances the design and expresses your unique personality. Feel free to contact us to acquire more information about the services we provide. When buying accessories keep in mind that purchasing quality pieces is more important than having a lot of accessories. If you collect too many pieces, things will quickly start looking cluttered and disorganized where a few good, quality pieces will look neat and organized. Quality items will also attract more attention and they make excellent conversational pieces.